Obituary for Arlene Pratt Kenaston | Crouch Funeral Home, P.A. Arlene Pratt Kenaston, 93 of North East, MD, died Thursday, November 29, 2018 in the Calvert Manor Healthcare Center, Rising Sun, MD. Born in Chelsea, Massachusetts on June 4, 1925 to the late Elmer and Catherine D. (Brown) Pratt. She was preceded in death by her daughter, Karen Kenaston, twin sister Marion Viney and brothers Almon and Arthur Pratt. Arlene enjoyed writing poetry, even having some published, collecting stuffed bears, taking classes at Cecil College, crafts, puppets, sewing and going to museums. She preferred reading ancient history and theology. 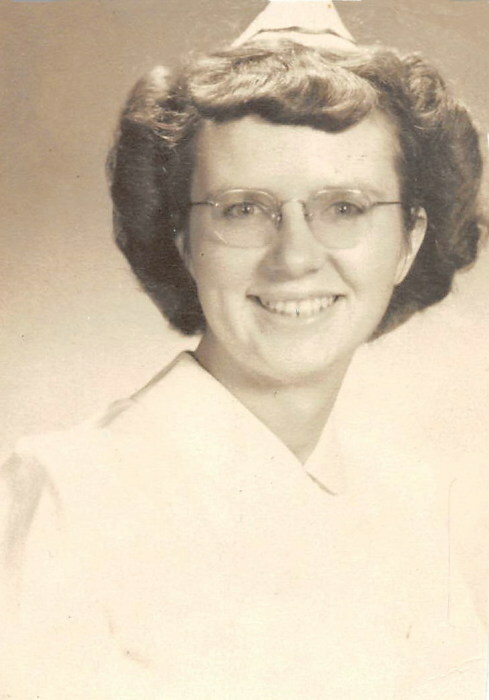 She began her education as a Registered Nurse through Maine Medical Center, Portland, ME and the Cadet Nurse Corp during World War II. She earned a Bachelor’s Degree in religion from Providence Bible Institute in Providence, RI and her Master’s in Education at Worcester State College, Worcester, MA. She continued her studies at Towson College, Atlantic Union College, University of Delaware and Cecil College. Arlene retired from Perry Point Veteran’s Hospital, Perry Point, MD after a long career in Nursing at various hospitals. Those included: Union Hospital, Elkton, MD; Governor Bacon State Hospital, Delaware City, DE; Maine Medical Center, Portland, ME; Concord State Hospital, Concord, NH; Boston City Hospital, Boston, MA; Rhode Island Hospital, Providence, RI; Roger Williams Hospital, Providence, RI; and Seventh Day Adventist Hospital, Glendale, CA. She also worked as a Special Education Teacher for Cerebral Palsy and brain damaged children in Silver Springs, MD and as a Third Grade Teacher in Odessa, DE. After retirement from nursing, Arlene spent her time volunteering at the Adult Day Care Center in Elkton and as a member of the Pastoral Care Team at Union Hospital. She was a monthly guest speaker with the Victim Awareness Program and on April 11, 2002 she received the Maryland Special Award for Outstanding Volunteer by the Maryland Department of Juvenile Justice. Arlene also volunteered at Calvert Manor Nursing Home, Calvert, MD and Hospice in Elkton, MD. She is survived by her son Kevin Kenaston (Lorraine) and a sister Patricia Gregoire. Graveside service will be Monday, December 3, 2018 at 2:00 pm in Wesley Chapel Cemetery, Elkton, MD.